One of my favorite childhood memories is playing X-Men II: Fall of the Mutants. Showing a bit of my age here, I played the game on freaking 5.25 Floppy Disks, the true floppy disks. Those annoying things that if you weren’t careful you would destroy all the information on the disk with one fingernail. I kid you not, in my elementary school we had games literally nullified by a fingernail or something equally sharp hitting a disk. I remember seeing just X-Men on the shelf and I didn’t even hardly notice X-Men II: Fall of the Mutants, not even thinking it was the second game in the series. All I knew was, it had X-Men in it and I was in comic fan nirvana just seeing the cover. Just see that cover and you can only imagine child me at the time. The game needless to say went home with me because my Dad thought it was cool as well. If you’ve ever wondered where the comic fan in me initially sparked, it was from my Dad, he was a huge Thor and Superman fan when he was a kid. We usually shared the experience of computer gaming together, so comics and gaming? Oh that was a perfect combination. I was so excited on the way back from Micro Center, I though to myself all the adventures I was going to have, all the hours of enjoyment, and just getting to play all my favorite X-Men characters in one game. I remember reading over the instructions and seeing all the characters within the game, my gaming heart soared. Cyclops, Marvel Girl (Jean Grey), Phoenix, Beast, Psylocke, Wolverine, Colossus, Archangel, Longshot, Dazzler, Shadowcat, and that’s just to name a few. It was based off of the X-Men story Fall of the Mutants, with the X-Men fighting against the Adversary. With battles against the Freedom Force with members such as Stonewall, Crimson Commando, Pyro, and Mystique. Then I got home to start installing the game. My excitement turned into another emotion entirely. I remember getting the game on my computer. loading in my disk, following all the instructions and the sound wouldn’t work. I could get the game itself to run yet the sound drove me batty. The game was a little weird in itself to try to get to run, computer specs were fine, everything else was good, yet this game was just giving me fits. Anyone who played computer games in this period remembers well that moment of just figuring out what was wrong. Back in the days before internet it was you and your friend, or family member, just trying to figure this out. My Dad and I tweaked around with it, then eventually I think I was messing around with the game and I got it to work fully, sound and all. Could I tell you what I did now? Heck no, but I got it working and that’s all that mattered by that point. Now I could start playing the game. X-Men II: Fall of the Mutants was a dungeon crawler taking place in different worlds and time periods. I remember playing around with different combinations of X-Men and any team of mine usually had a combination of Wolverine or Cyclops and everyone else was optional. Within my time playing the game I tried out about every combination of X-Men team I could think of. Then you pick your team and you’re graced with an image of the Watcher sending you on your way. The game play was a mix of either RPG turn based or Side Scrolling adventure, depending on play style. I did side scrolling and I remember trying to figure out the controls. It took me a bit of time to get used to them, but eventually I did. While sometimes wiling away precious time as you had one week in game time to finish a certain world. Ah the memories of that time clock hitting me just as I was nearly done with a level. I remember crawling through those seemingly endless dungeons, fighting random enemies of all sorts. Then eventually getting to my goal of fighting a certain team of the Freedom Force. It took me some time to finally beat the game, I remember spending hours playing through the game, getting so close and then boom, I’m dead and then I get to go through the whole experience again. 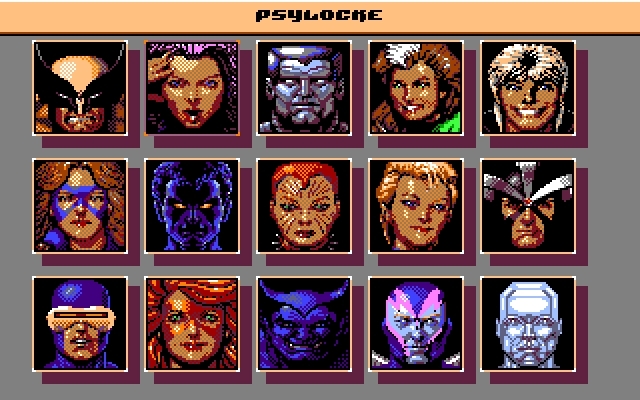 The key to the game was finding that perfect combination of X-Men to get you through the game. The final battle against the Adversary was nuts. Not just with the quirky controls, but just that fight was a tense one. The game wasn’t exactly easy to begin with so you could imagine what a final boss fight would be like. Once I beat that game though I was so happy, I let out such a cheer. I think I did do another play through before I eventually stopped playing the game. It doesn’t have much replay value sadly. I do still have my original copy of the game somewhere around here, though I couldn’t play the original disks anymore. I think I would crack up at the adventure of installing each disk one after another. There was always that yelling sound, I pictured it as the Watcher yelling at me as I installed the game. No wonder the game gave me so many fits in actually getting it to work right in the beginning huh? In looking through information for the game again, I had never realized what the first game was about. X-Men: Madness in Murderworld. I wonder, should I take a chance and try out this game? 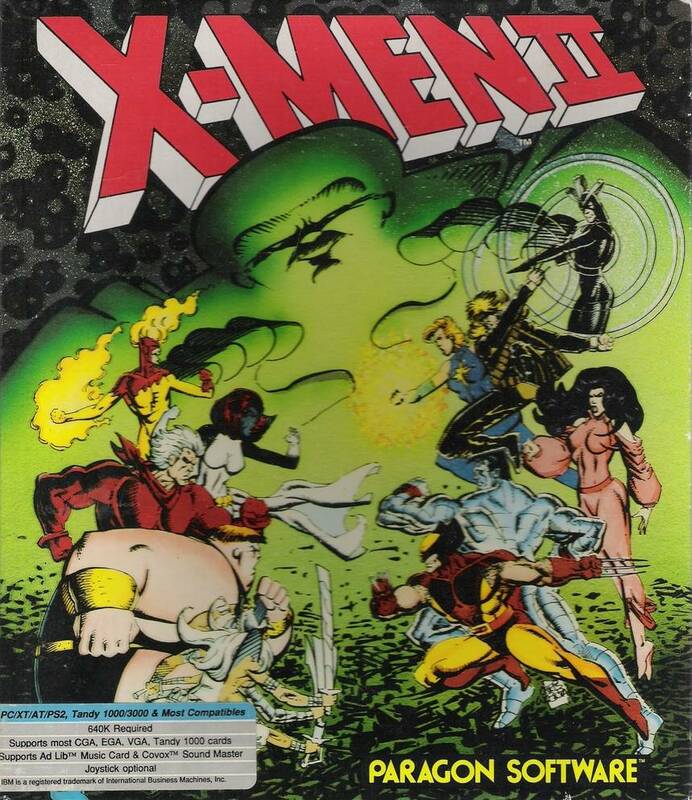 X-Men II: The Fall of the Mutants I have nostalgia for, but how would it be if I played the first game now? Fire me a line if you’ve played the first game and if I should give it a shot. Marvel vs. Capcom 3: February 15th 2011! Now for anyone who doesn’t know me I am a big fan of the Marvel vs. Capcom series. I’ve played 1 and 2 and I have 2 downloaded on my PS3. The moment I even heard about this game my geek-o-meter shot up through the stratosphere. Not just in a tiny bit we’re talking nerdgasmic oh my sweet lord I am insanely excited sort of way. That makes a certain amount of sense on that front. When I got the release date here which I’ll put a link to just to show you all I’m not completely going nuts. There you are on that front. There is one shiny collectors edition coming out with comic book, two character downloads of Jill Valentine and Shuma Gorath which I couldn’t help but smile at on those two since the game wouldn’t be complete without them and especially Shuma Gorath. You just need Shuma Gorath. It had to happen. The link to the collectors edition is in the link before but I’ll direct link after this thing here. Yes I am quite excited. Ever since I started to see video on it and ever since I started to see more and more on it I just get more curious. That the rumored additions of Taskmaster and Ms. Marvel pop into gear get more fascinating. Though those two are rumored but if they come true holy crap that will be neat. I used to play pretty much all of these games as they came out in the arcades so to have one full copy of this sort of game in my possession will be as cool as cool can be. I played also Tatsunoko vs. Capcom and you know honestly and I know I’ll get some crap about this I didn’t enjoy it as much I don’t know why either. I mean maybe just lack of connection with a lot of the characters or just not enjoying playing on the Wii as much with that sort of game I don’t know. Something about it felt quite not there for me. While I see this and I just get excited from the get go. I think it’ll be one solid title. The graphics look amazing and from people playing it at events it seems the control is solid and no one has any complaints. I think this could be the ultimate in vs. games nearly matched by Street Fighter vs. Tekken at some point soon though honestly Marvel vs. Capcom is where my heart is on this. I’ve almost grown up with the Marvel vs. Capcom series in the days in which they had the X-Men: Children of the Atom fighting game and the Marvel Super Heroes fighting game as well. Street Fighter vs. X-Men to add into that as well! I mean wow I seriously have played all of these. I’m not going to lie I’m going to be one happy hyper guy and anyone around me will think I’ve de-aged into my teens going “Oh boy, oh boy!” like one kid getting the greatest toy ever. I can say that will be awesome.